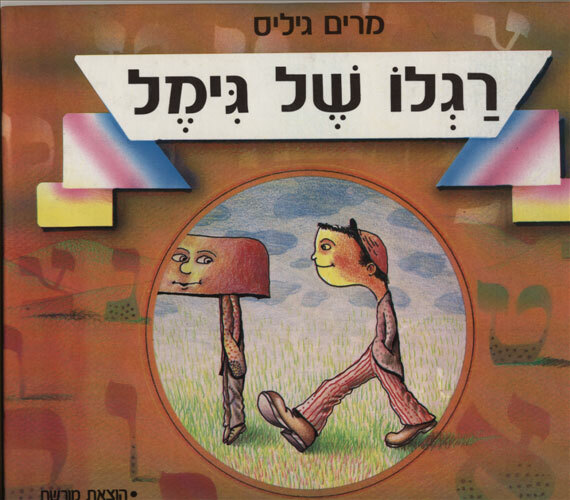 The book Raglo Shel Gimmel was written many years ago by Prof. Miriam Gillis of the Carlebach Institute at Bar Ilan University. It is a compilation of midrashim (legends) by chazal (our rabbis), in their original form. Each letter is accompanied by a midrash which opens with a question. There are hints at the meaning of the letters in the holy language, their form and the order in which they appear. To complete the picture, please see the order of the alphabet. The purpose of this column is to teach writing and reading of the Hebrew letters and it is an excellent resource for those who wish to delve deeper into the sources. The author has agreed to allow us to refer to this book for non commercial purposes and for your enjoyment. If you are interested in the author’s introduction, please contact us and we will forward it to you. Special copyright: Professor Miriam Gillis has exclusive rights to this book. No commercial use is permitted and changes in format, of the book or part of it, are forbidden. It may be used for teaching/ study purposes, including photocopying. Commercial use is prohibited.